Stage & Screen FX have had an exciting journey. Since opening in 2012 as Makeup & Theatrical Supplies, they've attended conventions and trade shows, held classes and workshops, and in 2017 their online business exploded, developing their name as Stage & Screen FX! Along with their expertise and enthusiasm for stage and screen makeup, they are committed to bringing the highest quality professional products, with unparalleled customer service! Stage & Screen FX's loyalty program is gleaming with generous rewards and ways for their members to earn points. Their creative flair on their online store has been extended to their Marsello loyalty program, making it visually captivating and helping to increase their sign-up rates. 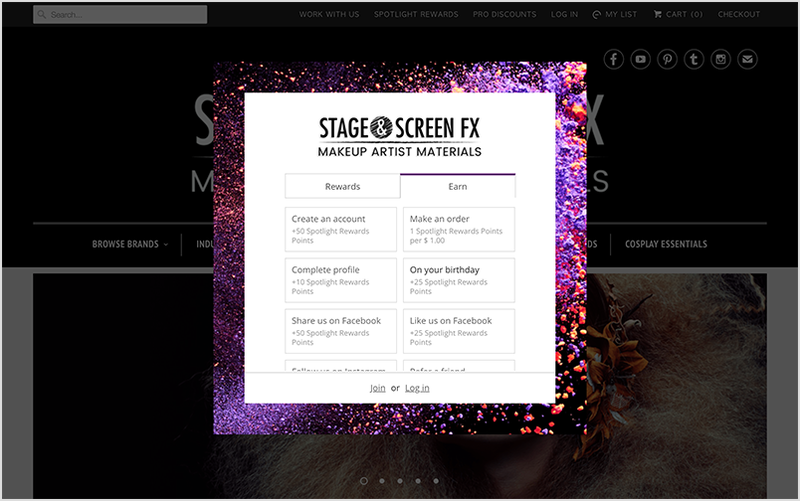 Stage & Screen FX's loyalty widget makes a bold statement immediately when their members open it. Along with adding their logo, they've cleverly used a bright makeup powder image to frame their loyalty widget, matching their button color for an added distinctive effect. Stage & Screen FX are doing a Wandraiser! They are encouraging their customers to donate old mascara wands to local charity Applalachian Wildlife Rescue in return for loyalty points. 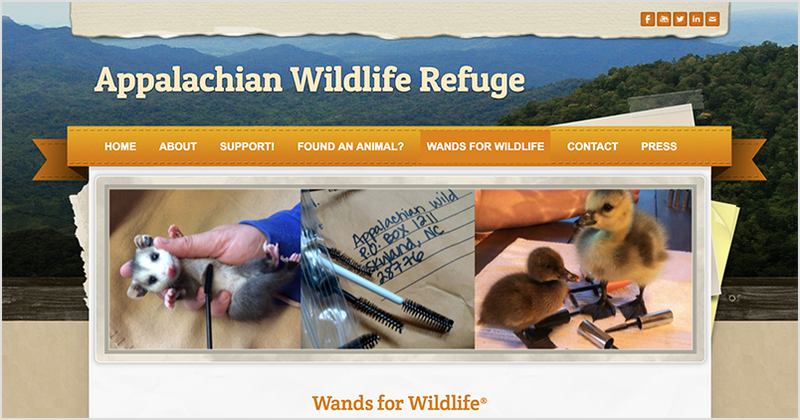 The recycled mascara wands are used to brush fly larvae off injured and orphaned animals. For every wand donation, Stage & Screen FX manually adds points to the member's points balance and there’s the added bonus of helping an adorable animal have a happier and healthier life. Stage & Screen FX have also added a Spotlight Rewards program explainer page to their online store. 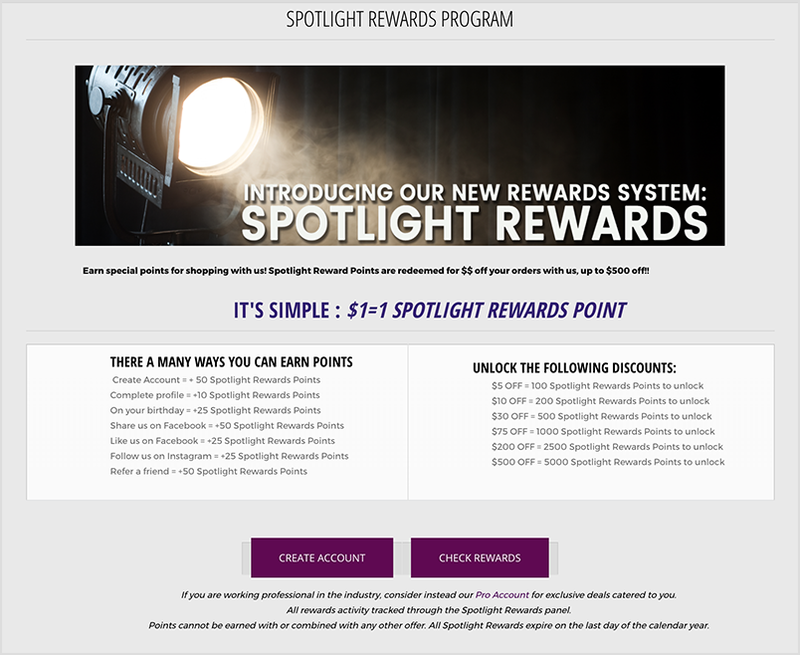 This page is designed to make it extra easy for their customers to learn how to join and earn points, and it showcases the rewards they can redeem! It’s hard to resist joining the program with such easy access to all the important info. Stage & Screen FX run one loyalty program across all of their store sites. New customers can sign up, members can earn points both in-store and online, and they have the flexibility to choose where they want to redeem their rewards. "We love that our loyalty program allows us to reward customers for more than just their purchases, because our customers mean so much more to us than just their purchases! So far we have found our customers to be very excited and impressed with our rewards program. We definitely think it will help us build a better relationship to the customer and aid in customer retention." Check out Stage & Screen FX's Instagram page – it has some amazing behind-the-scenes transformations that make for powerful inspiration for makeup enthusiasts. They use lots of relevant hashtags to help spread their content to like-minded enthusiasts and their images are beautiful, high-quality and eye-catching.